LONDON: 2 SEPTEMBER 2016 - ECR Minerals plc announces the issue and allotment of 1,246,683,046 new ordinary shares of 0.001 pence each in the Company (“Ordinary Shares”) at a price of 0.0061 pence per share pursuant to the conversion of US$100,000 of outstanding principal amount under the Company’s convertible loan facility (the “Facility”) with YA Global Master SPV Ltd (“YA Global”). This conversion is in response to Notices of Conversion received from YA Global. Accordingly, the outstanding principal amount will be reduced by US$100,000, to US$300,000 under the Facility. A further 97,000,164 new Ordinary Shares are to be issued and allotted to YA Global at a price of 0.0061 pence per share in settlement of accrued interest. Pursuant to this announcement, application has been made for 1,343,683,210 new Ordinary Shares of the Company to be admitted to trading on AIM. This is expected to occur on 8 September 2016 (“Admission”). Following Admission, it is expected that ECR’s issued ordinary share capital will consist of 13,429,750,820 Ordinary Shares. The new Ordinary Shares will rank pari passu in all respects with the Ordinary Shares of the Company currently traded on AIM. ECR is a mineral exploration and development company. 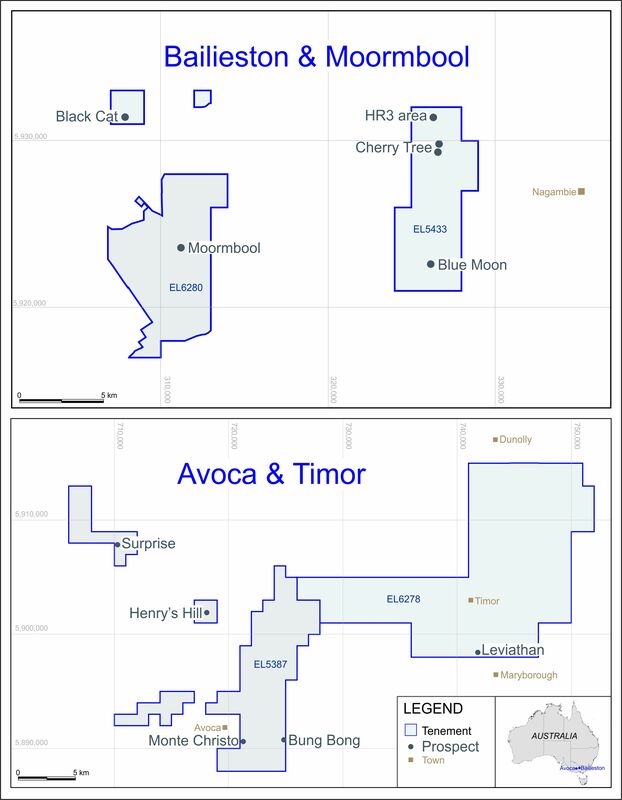 ECR’s wholly owned Australian subsidiary Mercator Gold Australia (MGA) has acquired 100% ownership of the Avoca and Bailieston gold projects in Victoria, Australia. ECR has earned a 25% interest in the Danglay epithermal gold project, an advanced exploration project located in a prolific gold and copper mining district in the north of the Philippines. An NI43-101 technical report was completed in respect of the Danglay project in December 2015, and is available for download from ECR’s website.